Miwon (aka Hendrik Kröz) makes soulful electronic music, balancing ambient textures, glitches, driving beats and anthemic melodies in his very own way. He takes time to sculpt his tunes, until it’s near impossible to pinpoint where the pop, techno and cinematic elements of his imagination shake hands. Kickstarting with a 7″ on hal9000 and his underground hit Brother Mole (then remixed by John Tejada and featured on Andrew Weatherall’s mix CD Fabric 19), Miwon further refined his sound and released two critically acclaimed albums on the seminal Manchester/Berlin electronica imprint City Centre Offices: Pale Glitter and A to B. Good friends in the darkness. 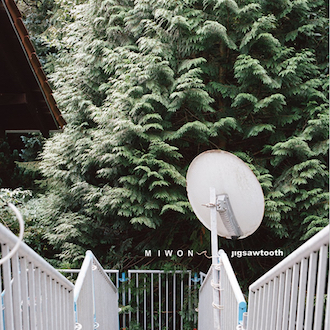 In 2017 Miwon returned with his third album Jigsawtooth, released on the Californian label n5MD. Miwon is also a founding member of the spectacular guitar ensemble Feedbackorchester and one half of the duo Cushion Caroms. My official Bandcamp shop is finally live – the place to go if you’re looking for older Miwon releases. Learn more about my music in revealing Q&As to be found on the blogs Giveitaspin, Igloo Magazine and Yes Ma’am! My third album Jigsawtooth is out now. You can order it via n5MD’s website (available formats: transparent red vinyl, white vinyl, CD, MP3) and a couple of other platforms (see column on the right).